ALLEGRA BOVERMAN/Staff photo. Gloucester Daily Times. 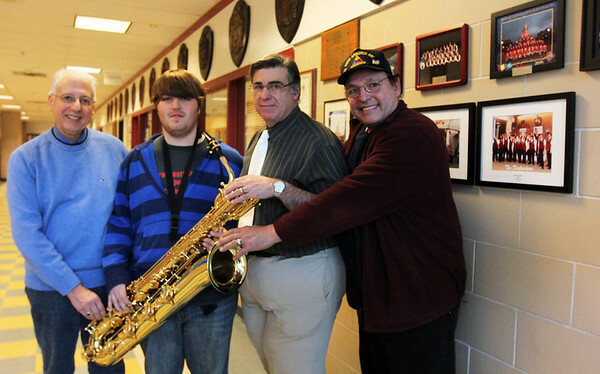 Gloucester: Gloucester High School senior Chris Taylor, second from left, with a new baritone saxophone that was obtained by members of the former Atlantic Brassman Senior Drum & Bugle Corps, including Gaspar LaFata, far left, and Billy Goulart, far right. Music director Dave Adams is second from right. The organization had money to use and wanted to help the music department.